>> Read the full snake dream interpretation. A time of transformation or transition. Here are two key points to refine the interpretation of your dream. The most important point to remember when interpreting a snake dream is that the presence of a serpent in your sleep means you’re symbolically receiving a wake up call from your unconscious. Dreaming about a snake means that you need to pay attention to something important that you have been avoiding or that has escaped your awareness until now. Interpreting your dream will help you discover what it is and what you could do to about it. In conclusion, when you’re dreaming of a snake, you can use your interpretation to encourage positive changes in your life. A snake dream can function like a two-sided coin: For each negative feeling in the dream, such as fear, apprehension, anxiety, or confusion, there’s an opportunity to realize something positive that will serve you in your waking life. 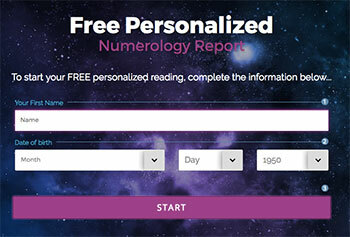 Use this dream interpretation guide to decipher the precious clues that your dream is giving. It’s important to recall the presence of the snake as it was in the dream, so you can get information about qualities that could remind you of a situation, a person or your emotional state in your waking life. This will get you started in finding out what the snake in your dream symbolizes because this reptile is most likely an transposed image or symbol of something that’s actually happening or preoccupying you while you’re awake. The following dream work basics provide instructions that can be applied to any dreams, but are particularly useful to interpret dreams about snakes. A series of questions specifically tailored to analyze snake dreams will help you interpret this symbol and define its meaning in your own terms. When a snake dream comes, you’re receiving a message that probably leaves a strong impression. Whether you are being bitten by a snake or see snakes everywhere in your house, it’s time to pay attention to the message your dream is giving you in the form of images and symbols. Look at dream meanings in dream dictionary. Personalize the interpretation of your snake dream. Whether you are dreaming about a snake or any other symbol, it’s useful to record your dream before you start interpreting it. Write it down or record it on a voice recorder. Take notes about what you dreamt about as soon as possible, preferably just as you wake up to minimize the loss of content as the memory of the dream quickly fades away. To get started with your dream interpretation, look at possible explanation for the symbols in the snake dream meanings section or your favorite dream dictionary. This ambivalent dream symbol is often hard to interpret, so take a look at all the possible meanings to gain different perspectives. Go further by connecting the dream interpretation with your waking life. To finish interpreting your dream, you need to create your own meaning for the symbols and images, especially if you are dreaming of this wild reptile. To further analyze what your dream means, ask yourself the questions given in the snake dream interpretation guide below. Snakes or serpents are rich dream symbols with a plethora of meanings that vary depending on what’s happening in your life, your feelings, cultural background and much more. In addition to the main dream meanings you can find in a dream dictionary associated with this reptile, you can figure out what your snake dream means by personalizing your dream interpretation. Discover how to figure out and interpret the meaning that best suits you. The following questions guide you in interpreting the images and symbols associated with snakes and broaden your understanding of the hidden message in your dream. What do you know about snakes in general? What is the snake like in your dream? What role does the snake play in your dream? How do you feel about the snake you dreamt about? What symbolic meanings associated with snakes grab your attention? Question #1: What do you know about snakes in general? An accurate dream analysis will emphasize generic associations you make with snakes or serpents and connect them with elements in your waking life. Look at the general characteristics of the snake as an animal and see how they relate to your dream and your life right now. For example, a common interpretation is based on the fact that snakes shed their skin when they grow. This characteristic is associated with transformation, leaving the old behind, change taking place in your life. Questions to further interpret your dream: What do you know about snakes? How do you feel about them? How do the traits you attribute to snakes relate to your personality or a situation in your life? Are you undergoing a radical transformation in one area of your life? What is changing? Question #2: What is the snake like in your dream? Whenever you want to figure out the meaning of a snake dream, try to connect with the animal that showed up in your dream. Invoke the snake’s characteristics, what it looked like, how it behaved, if it had a specific intention, etc. Look at the qualities of the snake in your dream and if they correspond to qualities you may have or aspects of situation or people in your life. The hypothesis behind this interpretation technique is that the snake represents a part of you or experience you’re having in your everyday living. Questions to further interpret your dream: What does the snake look like? How does it behave? How does it move? Question #3: What role does the snake play in your dream? 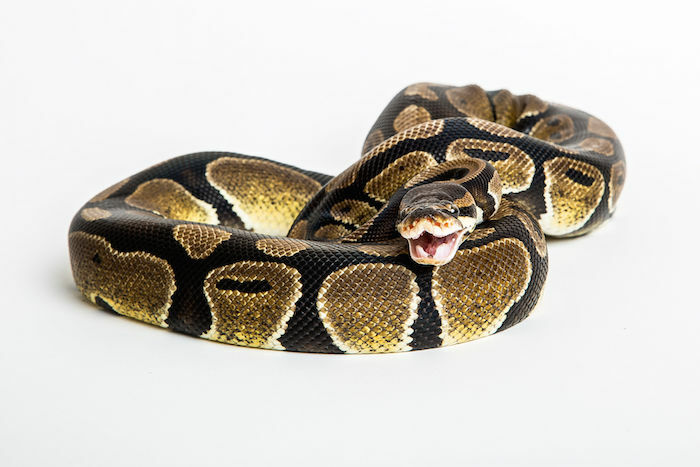 A common interpretation for the presence of a snake in your dream it that this reptile represents something or someone who has a strong influence in your life, whether it’s someone you know, a belief system, or a situation. You can also interpret the snake in your dream has a potential warning about an adversarial person or situation in your life. Question #4: How do you feel about the snake you dreamed about? A useful dream interpretation tip that is applicable to any types of dreams is to pay attention to the general feeling or atmosphere in the dream. Consider also the feelings you have about the snake you just dreamed about once you wake up. If negative, you can interpret your dream as a call to look at how you may be deceiving yourself or others in your waking life. If positive, look at positive transformations in your life, changes that are coming you way with opportunity to grow, expand. Question #5: What symbolic meanings associated with snakes grab your attention? Look at the symbolic meanings of the snake coming from spiritual traditions, religion, myths you are familiar with. This can help you interpret the archetypal meaning of your dream. I am severely afraid of snakes, I just woke up from a dream that one was exiting a whole in the ground. I was safe but it was highly focused on my son. At first the snake looked big but had round eyes so I knew it was not poisonous. I told my son to slowly move towards the house but the snake was fixated on him. Finally the snake came towards me at the door of the house. It changed shape and color to a small pink corn snake, I shut the door but accidentally shut the snake in the screen door. I know I have to free it but in doing so it enters the house. I face my fears, pick it up sonit doesnt bite anyone and it bites me. It burns a little but I bring it outside and set it free once I know everyone is safe. I ended up not being rattled by it after but happy I faced my fears. What does this mean? I had the most horrendous dream last night. Can,t get it out of my head. I hate snakes and I drempt I was pregnant and I gave birth to a giant python , it so so big it covered the ceiling of the hospital ward. It was very vivid and i was taken home with it in the boot of a car. It,s really disturbing me. Last night I had a dream that I was bitten by a snake. The next day after I was bitten I woke to find out that there were tons of snakes surrounding my house. I couldn’t leave so I went and laid down and while I was laying down I looked at my leg and saw a total of five bite marks, one was starting to have little puss bubbles on it. After that my oldest sister which I don’t get along very well with came in, picked up a snake from by the bed and was terrorizing me with it. Last night I dreamt I was into a an old dirty saloon when suddenly someone randomly yelled “watch it”… as I opened the door to the saloon I saw this snake coming towards; it was fast. I got in the saloon, by then the snake had reached the door and was fighting to get in. I was using all my weight to hold the door closed but this snake was strong. It was strong, aggressive and persistent. I’m not scared of snakes so I don’t know where this dream was coming from. I had a dream last night that was full of different scenarios that I can’t fully remeber but what I do remember that the dream was about my dog that just passed away a couple of months ago . In my dream I see him living on a farm near where I live he’s happy living his new life there when he see me we’re so happy to see eachother . Last night I dreamt I was being chased by a rattle snake and I was so scared . Next vision was I was holding the rattle snake by the mouth closed as not able to bite me while the other hand was holding the end of the snake where the rattle is. It was in a protective box but was making the noise of a rattle . I woke up very quickly. Last night I dreamt that I was in a yard and, there were two huge pythons (coiled) just lying there like they were sunbathing. Of course, I was scared and trying to get away from them. I passed by one, then happened to look back and saw that snake viciously biting into a dog. I turned to run, but there was the other one in my path, just coiled, not even paying attention to me. I was scared stiff, but tried to sidetrack it, but then I woke up – trembling. What’s with that?! The last 2 nights this dream replays over and over in different variations. But the basis is always the same. I come home or I wake up to see that my snake has grown tremendously, like up to 6 to 10 ft, (I own a corn snake) and has escaped from his cage. I follow a slime trail like you would see on a snail or a slug (which a snake wouldnt leave) and find him in a man made pond or bathtub. Sometimes inside and sometimes outside (last night he went outside in the snow.) I carry him by myself back to his cage and remind myself I need to upgrade his enclosure. My dream last night. I was trying to run through some water and was jumping over these red and black snakes. I knew one was going to bite me. The biggest one latched onto my ankle and I had to get rescued because I couldn’t move. 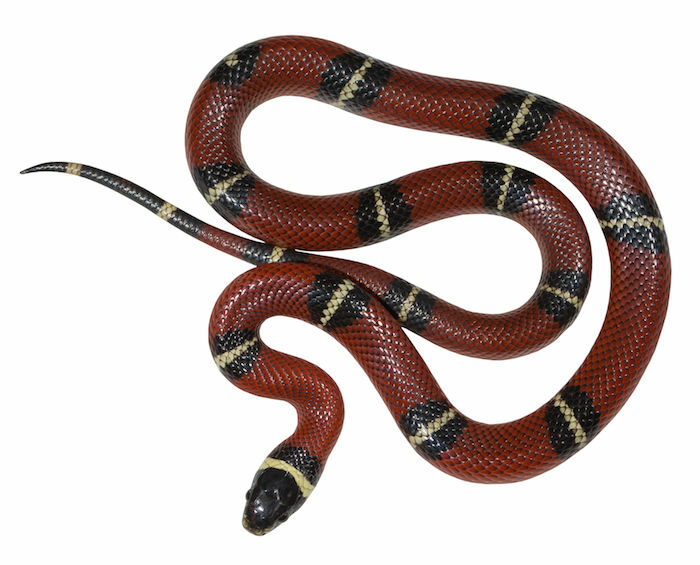 I remember it being very painful and these red and black snakes were everywhere. I hated it. I dreamed of a green snake chasing me and a pregnant couple. We were in what seemed to be a tree house. At first the snake was big but after climbing two floors it got smaller but faster. It was chasing me and as I fled away running and jumping I landed on the head and body of the snake killing it.